Happy Tuesday, everyone! Did you have a good weekend? My parents came over and helped us put up & break down my wedding fair booth. The wedding fair was on Sunday afternoon, and now it is just a wait & see type of thing to know it if was effective. All the while I have still been battling this horrid head cold, and I am just waiting for it to run its course and go away. Blech. 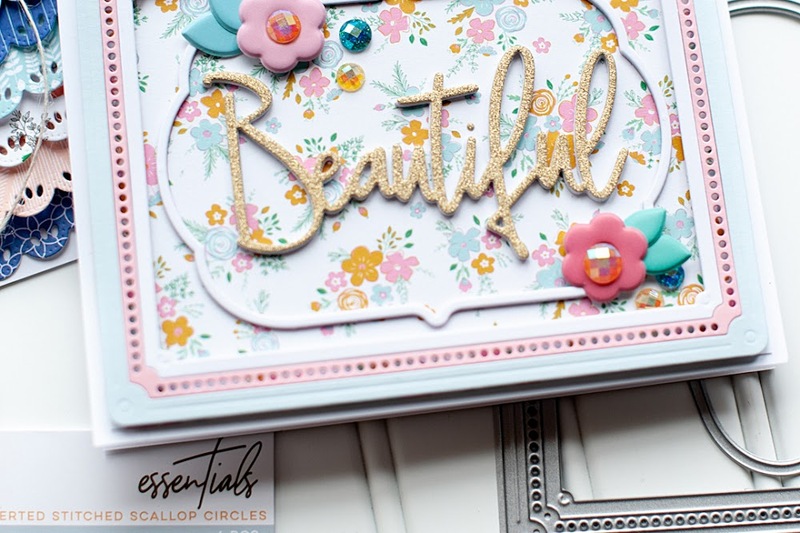 Today I have my card to share with you for my guest design spot at Flourishes Timeless Tuesday! This week's challenge is the theme of "new", which can be interpreted as you see fit. Well, I used a new to me Flourishes stamps called "Heartlines" that I've always wanted, and finally had the chance to get...plus, this is also a peek at some more brand new, not released yet Prima product from a collection called "Divine". Here is what I created! 3. Cut two strips of patterned paper, and layer to the left side of the card, then add two washi strips. 4. Wrap crochet trim around the top and add a matching bow. 5. Stamp a frame to patterned paper, cut out and adhere to the right of the bow. 6. Layer flowers to the top of the frame. 7. Stamp the sentiment to the lower right corner of the card. 8. Add a strip of jewels to the left of the sentiment to finish. I hope you've enjoyed my sweet little valentine today! Thanks for stopping by! What a delightful, yummy, delicious confection this is. 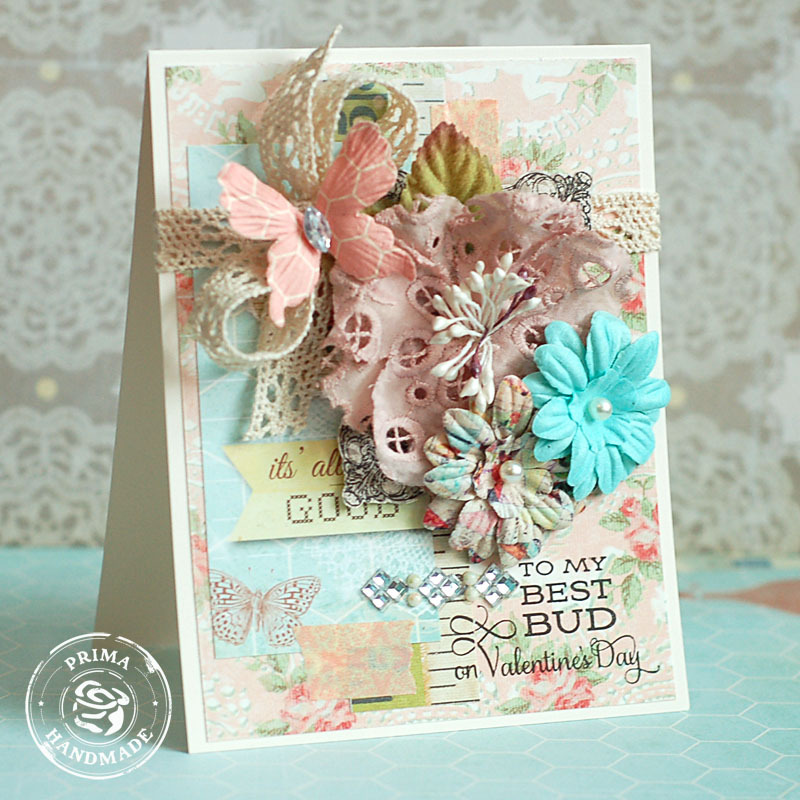 There is so much colorful shabby goodness on this card that I could look at it all day long. Very beautiful!! Wow Lea! This is so beautiful! I love all your layered elements and beautiful papers! Fabulous use of your sentiment! Lovely card. Love all the layers and lovely shabbiness! I am wondering if you allow followers to pin your work...I want to work on making cards with flowers in 2013 and need inspiriation...I would give credit and a linky back to your blog if a made a card using any of your cards for inspiration. This is really a beautiful card!!! Gorgeous card! 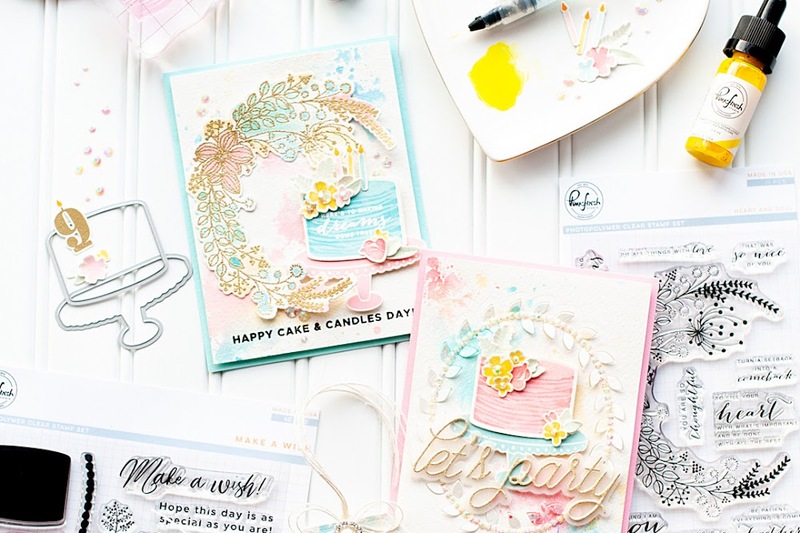 Love all the yummy layering and soft colors! 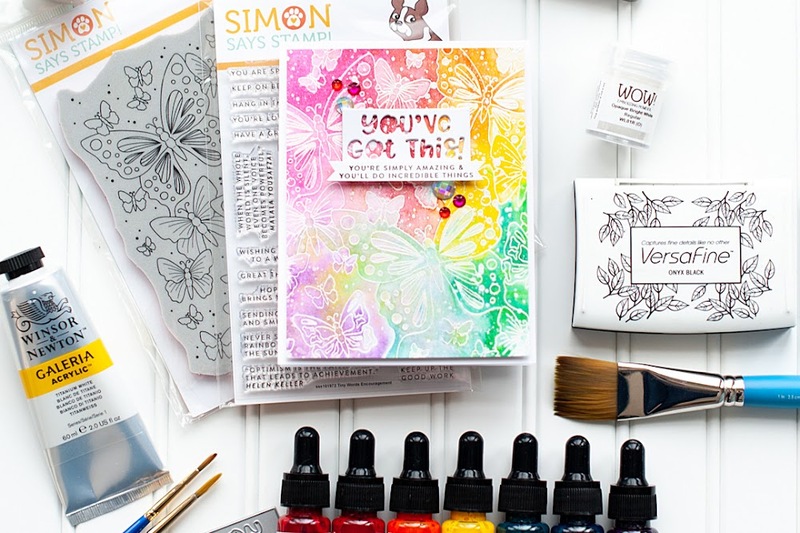 Thanks for joining us for the Simon Says Stamp Challenge! What a gorgeous card. Thanks for sharing. Very pretty card. I love the butterfly (and the jeweled body it's got). Oh my word, this is STUNNING, Lea! You have such a great eye for embellishing. Love everything you make. GREAT card! Over the top Gorgeous! I love all your elements and layering! Such gorgeous embellishments, Lea! Love this beautiful card!